SPRINAGE	There are 5 products. 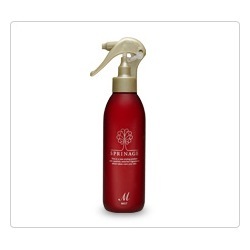 Gives natural lift to the hair by firming the scalp and tightening the root. Can be used for skin and hair care. Protect skin with a moisture veil. Get sleek looking hair. For skin: Gives moisture with a soft finish. Protects skin damage from the sun. Quickly moisturizes skin and hair. Keeps hair manageable. For skin: penetrates quickly, delivers rich moisture. For hair: Tames hair, gives shine and manageability. 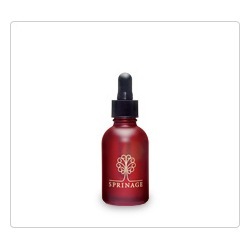 A non-sticky concentrated oil that helps deliver moisture and nutrients to the hair and skin. For skin: Penetrates thoroughly, delivers intense rich moisture. For hair: Repairs coarse hair and split ends. Leaves hair silky. A lotion type leave-in treatment for the hair that can also be used to soothe dry, irritated skin. For skin: Moisturize and heal dry damaged skin. For hair: Creates moisture balance, relaxes waves, and tames fly-aways.